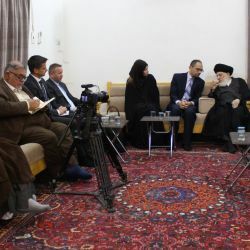 His Eminence, Grand Ayatollah Sayyid Muhammad Saeed al-Hakeem, received the President of the Islamic Republic of Iran, Dr. Shaykh Hasan al-Rouhani and his aides, on Wednesday 13th March 2019. President Rouhani presented a summary of his talks with the Iraqi government in Baghdad. 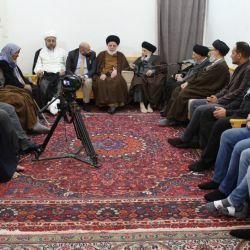 His Eminence Sayyid al-Hakeem emphasized the importance of the realistic view of the officials to the circumstances which the country is going through and its effect on people. They should perceive the pains and hardships that the people are experiencing, especially in difficult times. 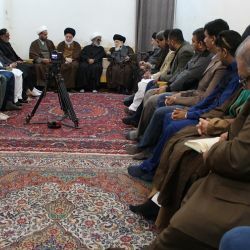 This will lead to the people cooperating with and appreciating those in positions of power, and to receiving trust, and this will enable the people to be patient in such times of difficulties. 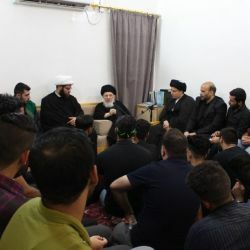 His Eminence also emphasized the importance of those in power to resolve the issues and disagreements with wisdom and broad-mindedness, to remove those tensions. 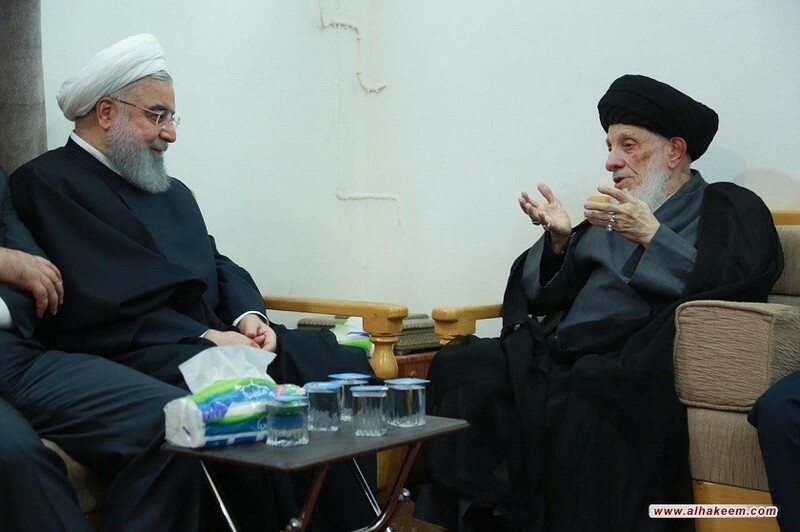 President Rouhani expressed his thanks to His Eminence for hosting him. If there is no claim of marriage and a baby is born, and DNA establishes the identity of the father (a) is DNA accepted as legal evidence? (b) If so, what will be the fatherâ€™s responsibilities towards this child? (c) Will he inherit his father? (d) Will he be able to carry the name of his father? The DNA is not considered evidence in the said case unless it leads to certainty in such a way that the chance of being wrong is Zero. 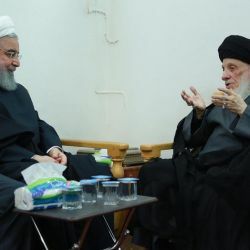 I started referring to his eminence Sayyid al-Hakim (may Allah prolong his life) before I reached the age of adulthood. Is my Taqleed valid? Can I continue following him after I reach the mentioned age? Your previous Taqleed is valid and you can continue to follow his Eminence. 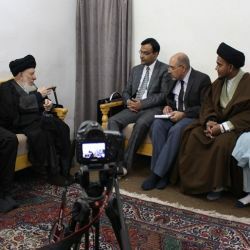 Is the narrator, Mufaddal ibn Umar, companion of Imam Jaffer Sadiq (peace be upon him) reliable? The scholars of the study of the narrataors (Ilm al-Rijal) have different opinions regarding Mufaddal bin Umar. 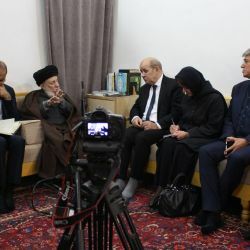 His Eminence is inclined to believe that is reliable and his narrations are accepted. If I know a female very well, may I explain to her the temporary marriage contract via chat and even tell her to recite the vows via chat? Explaining the temporary contract to her over the chat is permissible but conducting the marriage contract must be through direct voice conversation.